Coolmax socks for the boot - these socks will keep your feet comfortable in warmer weather. 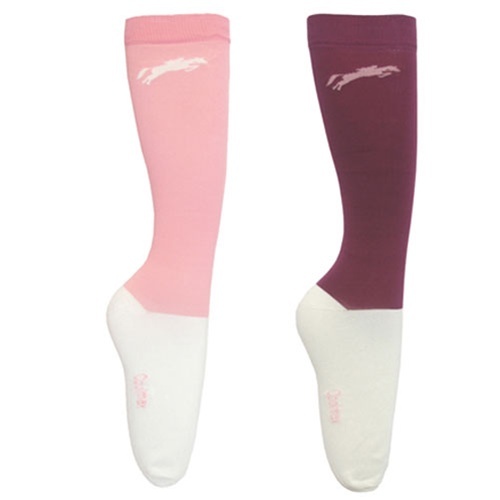 Technically designed riding socks meet the unique needs of riders for comfort and support with extra stretch in opening, reinforced heel, arch support, cushioned sole and reinforced toe. Coolmax/Cotton/Spandex. TuffRider - Let&apos;s ride.